A scholar of the history of Christianity in the Middle Ages, Scott G. Bruce has written widely on the frontiers of the monastic imagination in premodern Europe. 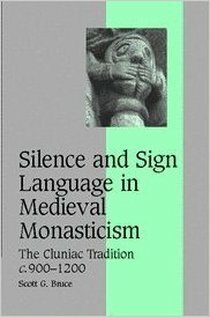 His books treat a diverse range of topics in medieval religious and cultural history, from monastic sign language to European perceptions of Islam in the Middle Ages. SGB has recently translated an anthology of stories for Penguin Classics about ghosts, necromancers, and the restless dead in the western tradition from the Romans to the Renaissance and has edited and translated (with Christopher Jones) a twelfth-century medieval Latin poem about a phantom army. He has just completed an anthology of texts about the history of the punitive afterlife from ancient Gehenna to modern America called The Penguin Book of Hell. Scott G. Bruce is currently working on several book projects, including The Penguin Book of Dragons, a definitive anthology of historical legends and lore about the most popular mythological creature in the human imagination.